In most parts of my beauty routine, I am hardly product-monogamous. I really can't be, with my day job—trying out countless items on a weekly (sometimes daily) basis is all part of the gig. Aside from a general preference for clean, natural ingredients, I don't mind playing around with different items at all—you can see the evidence of that on and around my vanity, which looks like it belongs on an episode of Hoarders on a good day. There is one exception, however. If you were to dig around in my overflowing makeup drawer, amid the dozens of eyeshadow palettes, cream foundations, and untouched blush, you'd only find a single tube of mascara—Buxom's waterproof formula ($20). It's worth noting at this point that mascara is one of my absolute daily essentials. I'm not the kind of person who feels like she can't leave the house without a full face of makeup, but even on weekends when my complexion is otherwise completely bare, I'll still swipe on a coat or two of mascara to open my eyes up. It's been a habit for years, and needless to say, I've gone through more than a few different products—and yet, Buxom is the only formula that I've ever consistently loved. I won't deny that it's a little bizarre that in a very broad market of stellar lash products, there is only one that really works for me. It's not like I have particularly finicky lashes, if there is such a thing—they're not too straight, they're relatively thick, and of average length. Their only quirk is that I have hopelessly watery eyes, to the point that a sizable breeze can send a deluge of tears down my face. So really, my only actual requirement is a waterproof formula. Then again, a good water-resistant product has to strike a careful balance—it needs to withstand daylong teariness, but it also can't be so indestructible that it takes an industrial solvent to remove. I once bought a formula in the latter category in early June, and by the end of the summer, I was practically lash-less for all the tugging it took to remove it at the end of the day. No good. Really, all I ask of my mascara is that it lengthens, volumizes, and defines my lashes. Pretty standard stuff, right? Yet nearly every product I try clumps up my lashes—if not on the first try, after a few applications—and I'm left separating them with a thumbtack at my desk (don't try that at home, please) or removing it altogether and trying again. An even bigger pet peeve is that a lot of waterproof formulas flake, too. I always assumed that this was just the deal I was getting by using mascara—when you paint something on your lashes, it's bound to clump sometimes. But when I received Buxom as a Sephora sample a few years back, after several days of consistently clump-free, voluminous eyelashes, I safely concluded that my unicorn product did in fact exist. It's defining and conditioning, but doesn't have that super-inky, painted-on look to it—it provides extra oomph without screaming "I'm wearing mascara!" The fact that it's vitamin-enriched and free of chemical irritants is just a sweet, sweet bonus. Consistent compliments are always the marker of a great product, and my beauty savvy co-workers are always surprised when I tell them that I'm wearing Buxom; it's like they're expecting me to reveal some super-niche, magical product that no one else knows about yet. 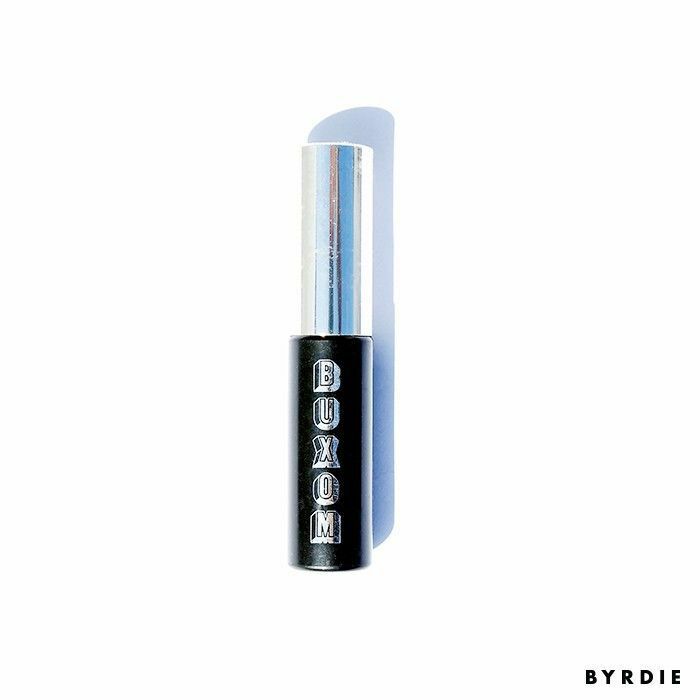 Buxom might be a household name at this point, but as far I'm concerned, it's still plenty magical—it managed to impress me, the persnickety, watery-eyed mascara snob, after all. What's your go-to mascara? Call it out in the comments below!